At Scotiabank, we believe that we are stronger because of our differences, not in spite of them. We strive to create a diverse, inclusive environment that reflects our differences and similarities and allows our employees and customers to feel safe, valued and connected. As the Executive Champion for Scotiabank Pride, I am a proud ally of the Lesbian, Gay, Bisexual, Trans + communities and firmly believe in the importance of raising my voice and being an active ally for this community as well as all diverse communities. It’s not enough to say what our values are - we need to live them. 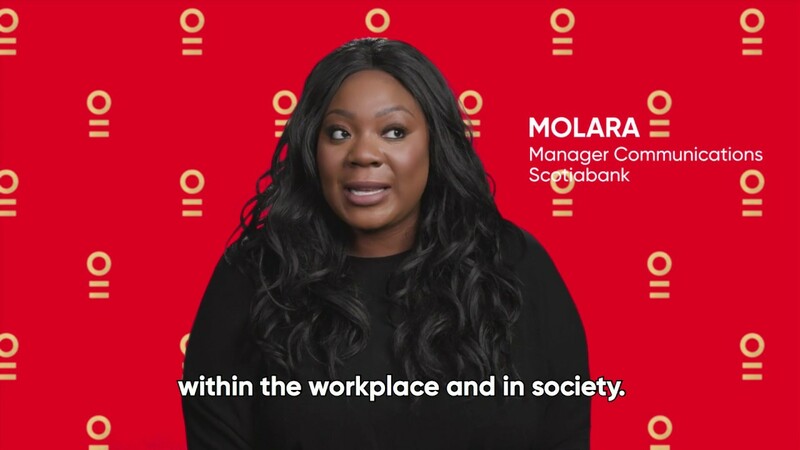 No matter where we operate, we are committed to respecting and appreciating all individuals because we know that both Scotiabank and our communities are stronger when our employees and customers can be their authentic selves and reach their full potential. Scotiabank is committed to LGBT+ inclusion in the workplace and in the communities where we operate. This commitment is the driving force behind the Bank’s support for many LGBT+ organizations globally such as Pride Connection, Costa Rican Chamber of Commerce, You Can Play and Pride at Work Canada. Scotiabank is proud to support Pride and LGBT+ inclusion each and every day of the year. I encourage everyone to show their support and embrace the differences that bring us together. At Scotiabank, our diverse and global team recognizes that equality of voice, opinion and contribution are critical to our success. We sat down with Scotiabank employees from across the business to discuss LGBT+ inclusion. The world is a big place with all kinds of people, and it’s our differences that make us extraordinary. Here, you can be proud of who you are and let your true self shine. Read Scotiabank’s Val Walls story, in the recent Women of Influence article, on how people can lead by example to engage LGBT+ employees, customers and allies. Scotiabank is proud to publicly commit to gender equality through signing on to the Catalyst Accord and 30% Club.